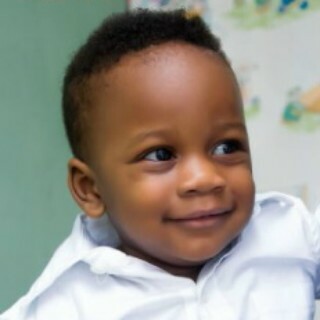 this specially gifted angel from God turned 3…yeah, yea. I know it’s hard to believe. Even I sometimes tease her that she’s 33 not 3 because the things she says sometimes, I’m in awe really . She’s like a wise old soul that has been around for years. I can’t help thinking heaven must really miss this one. I’m humbled really that God would choose us to parent this very special child. She’s the epitome of her name Hadassah…an ever green tree… As refreshing as ever. Onyeshielibe…a constant reminder that no one can determine the destiny of another. 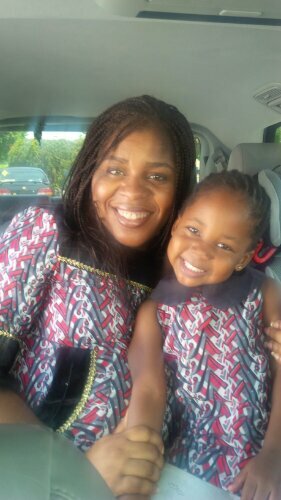 Once dassah walks into a room she simply takes over….with her smile, her charm, her warmth, her compassion, her wit. She’s such a rare gem …and God chose ME? 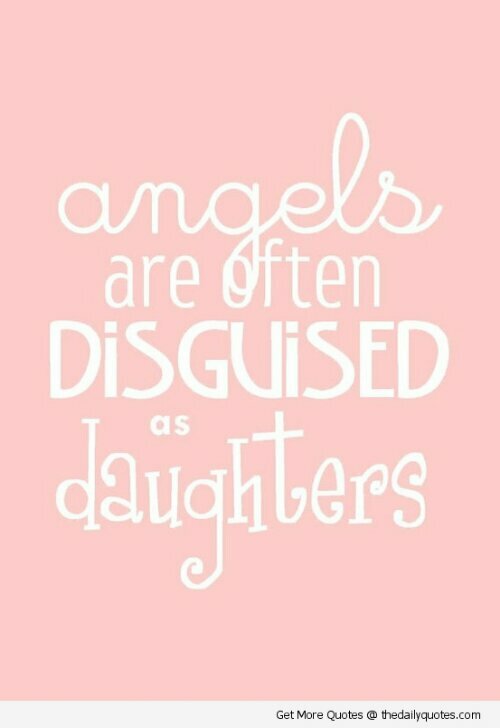 to mother her…. Hmmmmm…. Okay so a million and one birthdays really but that’s not what this is about. Let me Welcome you to May. I love May. It’s a very polite month :-). It’s not like March. March just storms you with whatever it has but May on the other hand seems to ask, “MAY I bless you? ” you need to allow May come in with all its got for you. Give it permission in the place of prayer. Okay so that done, let’s move on to other businesses, I’m sure you noticed o barely blogged this month. No excuses but I’ve had a lot of other stuff on my mind. 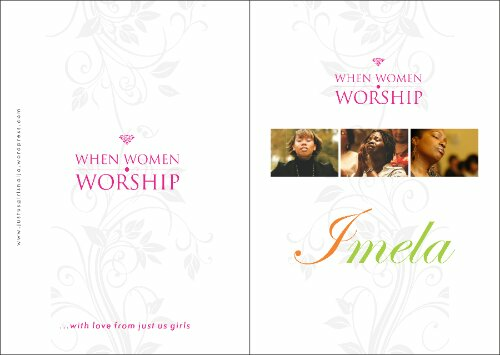 First we have WHEN WOMEN WORSHIP Coming up soon. Were you at IMELA last year? 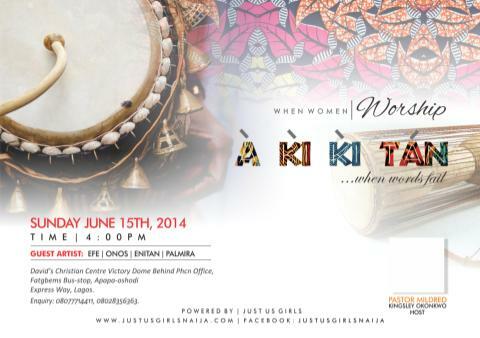 Well, it’s almost here again and this time the theme is akikitan. It’s actually yoruba styled theme and the planning team decided since we are doing it yoruba style why not go all out so the ladies are selling aso-ebi. If you are interested these are the numbers to call. I’m sure they can hook you up . I hear it’s really affordable so don’t worry. It’s N1250 For 3 yards and N2500 for 6 yards. I can try to get the pictures for you later. But that’s not the main thing I need your help with. Here’s the real issue. I know today is dilemma Tuesday but I kinda need to turn it to a Testimony Tuesday for now. We are putting together a magazine with testimonies from Imela and I’d like you to send in yours or if you know someone who got a testimony from Imela we would love to have it. I gotta run now before Vida gets up. Akikitan!!! Really I can’t thank Him enough. Permit me though to show off Vida on that day, because really she is my biggest testimony yet from Imela. But I am excited about the theme though, thinking about Imela still gives me goosebumps, so really I am expectant but most importantly I can’t wait to lavish my thanksgiving on my God. hello pastor m, my name is Dami and I’ve been reading ur blog for days now. first let me say congrats on ur newest family member…u waited so long for her. I’m not a DCC member (though the church seems interesting, maybe i’ll come someday!) but iv been listening to pst kingsley’s msgs& i find them very interesting. I stumbled on them on my sister’s laptop (up to 35 of them) in mp3 &while listenin i found d preacher 2 be very wise, funny, inspiring& deeply rooted in the Word of God. I then went online to 2 find out more&discovered dt ur ministry has a tv program LDM& i found this blog. yr experiences, 4rm waiting on God, to the wonderful marriage u have, to God’s answer to ur prayers is very touchin to me. 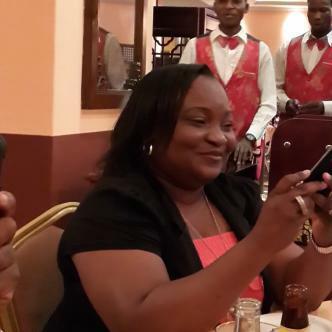 And i sooooo much love pst kingsley’s msgs dere’s no one i listen to that i don’t laugh. 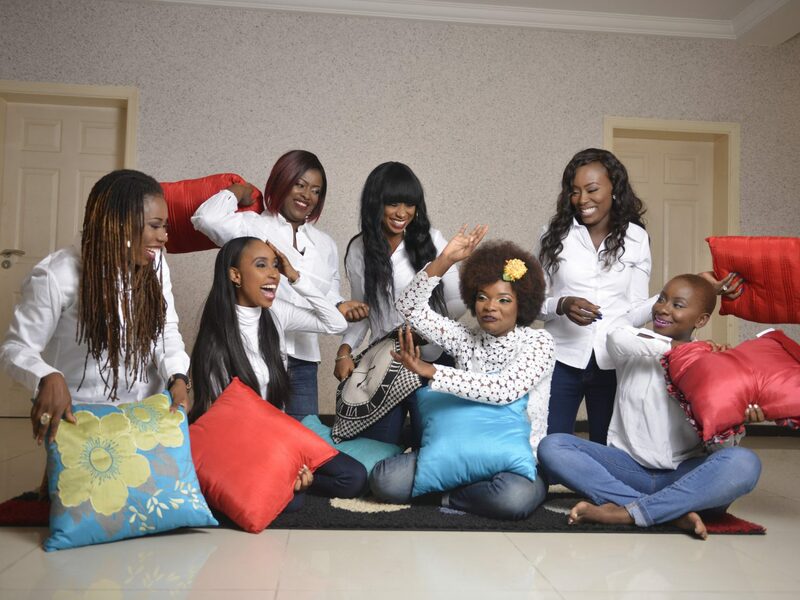 u guys r doin a great work & i pray dt God will continue to strengthen u as u bless&touch pple’s lives. The msgs taught me so many tinz, 4rm what to look out for in a spouse& d rite tinz to pray for & so much more. i listen to them repeatedly as they also help me grow spiritually (im a young christian,in the body of Christ – im trying to grow spiritually). i honestly will like to get more of them in mp3 how can i get them? havin a sweet marriage is very important to me& by His grace i will meet dat very special person, i pray4him everyday. Pls i wan2 know do i need any tickets to attend LDM/just us girls conference? is it only for DCC members? if no, how do i know when each seminar comes up? i’l also like to have 2012/13 msgs. i av ur 10 commandments of waiting & i want ur don’t marry him if and others u have taught. 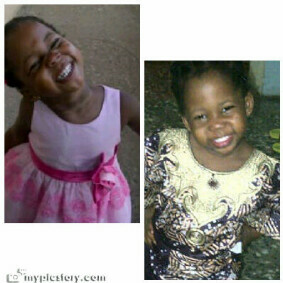 wuld luv to hear 4rm u soonest. I’m so glad to know that our Ministry has blessed you. LDM is free and holds every first Sunday of the month. All our just us girls programmes are free. 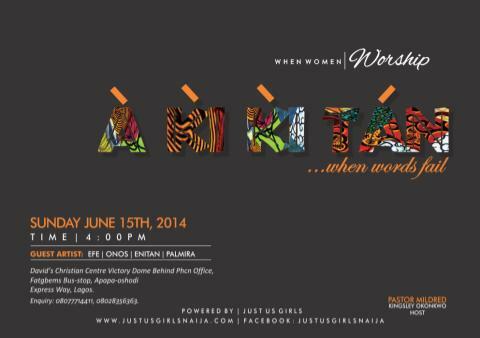 Our when women Worship comes up June 15th. You can get all the messages downloaded to any device you want when you come for the meetings or you can call 08077714412 to order them from our sales rep. Please feel free to come with as many of your friends for any of our meetings. Happy birthday Dassah!! Such a gorgeous 3(3) year old girl. May your life be beautified by God in every way possible. Previous Previous post: Tz a FAMILY AFFAIR!! !